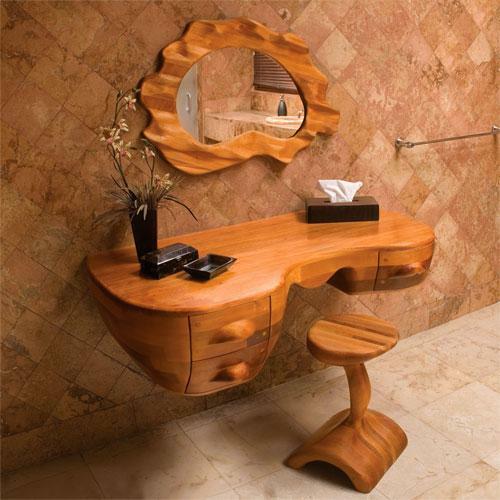 This elegant vanity is truly a magnificent piece. 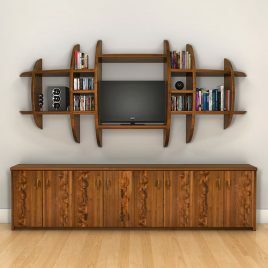 The asymmetry gives the curves even more apparent movement. The shape is significant yet the feeling is one of lightness and airiness. 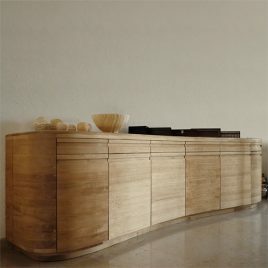 Designed with the artist's ubiquitous sweeping curves, this buffet shows very prominent architectural elements. 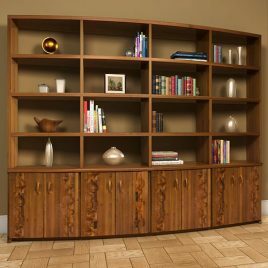 More "structure" than simply furniture it is stunning in the dining room, as an entertainment unit, in the bedroom, or even adapted as a vanity. Available in different lengths. Let the sharp, clean lines and a gentle hint of a curve lull you. 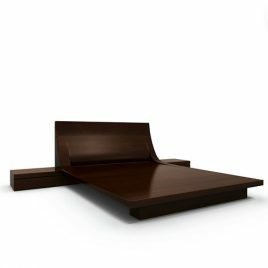 This bed effortlessly spreads and accommodates a platform on either side for your bedside accouterments, leaving you to slide into the land of sweet ethereal visions. North American Queen-size mattress area (80"x60") shown. Other mattress size areas also available.